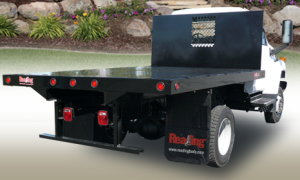 Premium materials, superb craftsmanship and advanced production techniques make Reading platform bodies the preferred choice for every hauling job. 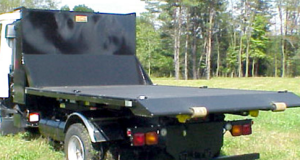 Dura-mag Truck Beds are available for order. One of the major advantages with the Dura-mag product line is short lead times. 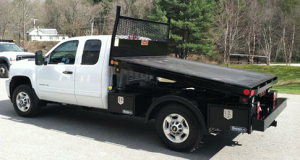 We can build custom bodies to dealer specs and keep the lead times short. We have been in the custom aluminum fabrication industry since 1995. Iroquois stake/platform bodies offer tremendous flexibility in construction features to fit any material handling needs. 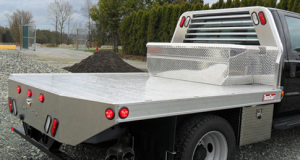 TruckCraft now offers a heavy duty tempered aluminum truck flat that is ideal for the commercial landscaping contractor because of it’s low mounting height, excellent strength-to-weight characteristics and great lifelong appearance. Made from 100% 6061-T6 heat treated aluminum alloy extrusions, the welded design provides an extremely rigid platform. 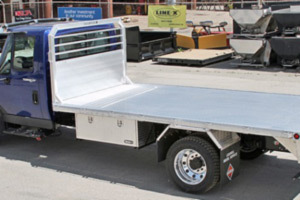 The Switch-N-Go™Platform Body is built to the high quality standards that our company has brought to the truck equipment industry for years. 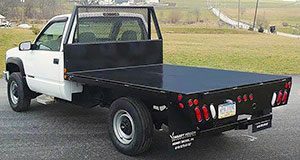 These platform bodies have the added feature of body swapping that equipment rental companies as well as contractors have come to love.